Food Grade Mineral Oil has 100's of household and industrial uses such as: butcher block oil, cutting board oil, wood stain, soapstone oil, lubricant, bamboo cutting board oil, lubricating food processing machines, rust prevention for knives, stainless steel cleaner and many more. 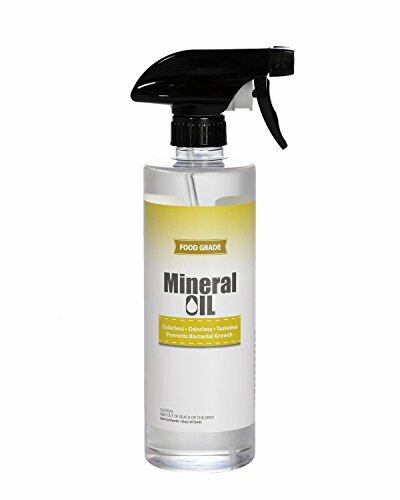 Mineral Oil will not break down and become rancid like vegetable oil. This is a food safe mineral oil that is colorless, odorless, tasteless, and prevents bacterial growth. One pint (16 ounces). If you have any questions about this product by Sanco Industries, contact us by completing and submitting the form below. If you are looking for a specif part number, please include it with your message.